On TV – I thought Once Upon a Time was the season finale – but it wasn’t, we have one last episode this week! I am so curious – how they will end the season? There are so many characters we only met once (pun intended.) I really hope this gets picked up again next season. Celebrity Apprentice – Lisa Lampanelli, you’re fired. Will the finals be one last showdown with Arsenio and Aubrey? Mad Men – favorite line this week: (Don tells Joan that Megan is leaving her job.) Joan: Well she isn’t gone for good, (pause) or is she? And The Bachelorette starts up again this Monday with Emily Maynard returning to find love. Why do people go on this show? WHY do I watch this show??!! If you are on twitter, follow author Jennifer Weiner @jenniferweiner for hilarious live tweeting every Monday night. Scandal – I love flashback episodes. We got to see how Governor Grant first met Olivia Pope on his quest to win the White House. If you aren’t watching this show – check it out on demand. The scenes for next week said season finale. I can’t believe it, it feels like this show just started. Barnes and Noble – Gifts for Mom – Buy 1 get 1 for 50% off. Women’s Day – Get Organized in 30 minutes or less. Great organizing tips if you have 30 minutes, 20 minutes, 15 minutes or just 5 minutes. Strawberry Corn Cakes – I can’t wait to try these – they look delicious and simple to make (my favorite combination.) Hopefully it will inspire a future blog post. 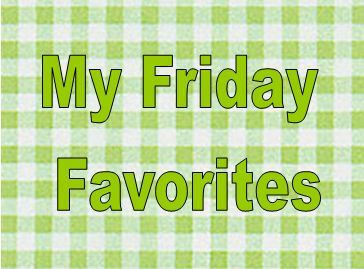 Do you have any favorites from the past week? Leave me a comment and tell me what you’re watching, reading, buying and cooking! I was thrilled when I saw that Once had 1 more episode! It was like a little present. And it looks like this final episode will be awesome. I did hear that it was picked up for next season.